MINNETONKA, Minn., U.S.A., April 4, 2018 – Syngenta has broken ground on a Trait Conversion Accelerator at its Nampa, Idaho, research and development and seed production facility. Construction of the $30 million site enhancement is expected to be completed in 2019. The Nampa site will accommodate the majority of Syngenta’s North American corn trait conversion work previously done in open field or semi-controlled environments. 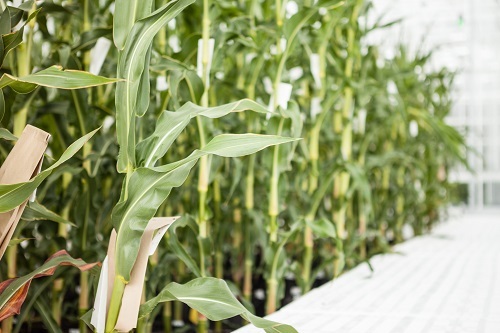 It will provide a reliable growing environment to conduct marker-assisted backcrossing and version generation, as well as deliver the introgression of market-leading traits into Syngenta’s most advanced corn germplasm. According to Dirk Benson, head, seed development – product selection at Syngenta, the Nampa site was chosen for this investment in trait conversion because it offers an excellent combination of climatic factors (e.g., solar radiation, heating and cooling, etc.) as well as access to a highly skilled workforce. The Nampa facility will house the capabilities and capacity to bring choice in traits to corn growers. Customers of the NK® and Golden Harvest® corn seed brands, as well as independent seed companies that license Syngenta technologies through Greenleaf Genetics®, will benefit from faster access to more hybrids with the latest Agrisure® trait technologies. Syngenta invests more than $1.3 billion each year in research and development globally. The Nampa Trait Conversion Accelerator is part of an incremental investment over the next five years that includes adding significantly more resources in product breeding, product selection leads and trialing. ©2018 Syngenta, 11055 Wayzata Boulevard, Minnetonka, MN 55305. Trademarks are the property of a Syngenta Group Company or their respective owners.